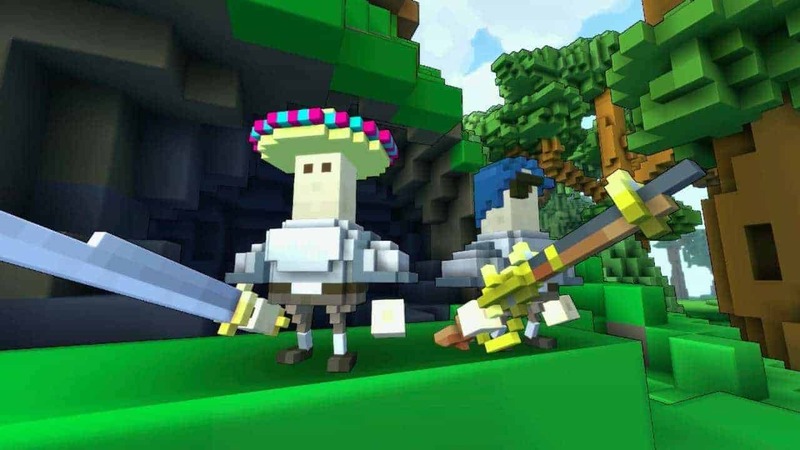 Trion Worlds today announced a rather sweet edition to the increasingly bizarre world of Trove, with the release of a brave new warrior class, Candy Barbarians. In the land of Candoria, nomadic bands brave the lands enjoying the simple joys that life brings. Some of these tribespeople however are called to bigger things, dangerous things, and they seek out the lands of Trove to find quench their desire for adventure. The Candy Barbarian is now available to unlock in game. Players can purchase the additional class for 5000 Cubits or 1050 Credits (the premium in-game Trove currency). The Candy Barbarian is also available in the Voxster Starter Pack. The new class boasts a powerful collection of skills and excels as a close quarter combatant thanks to impressive variety of fierce melee abilities in his arsenal. Able to wield twin weapons such as axes, swords and spatulas, the blows of the Candy Barbarian are sure to leave their mark.